The past few weeks has seen the commencing of the frogs singing on the banks and pools along the river. For such a small creature their croaks are extremely loud across the water. 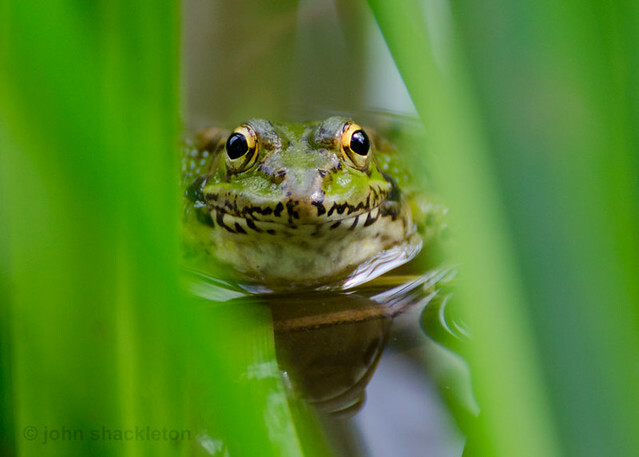 The edible frog (also known as the common water frog or green frog) is aided by vocal air sacs that amplify their croak. They are quite challenging to locate on the water’s edge though today Belinda spotted 2 through her binoculars. I opted to get a closer look so climbed over a rail and then in my eagerness tripped and slid down the bank …… the camera was unharmed. 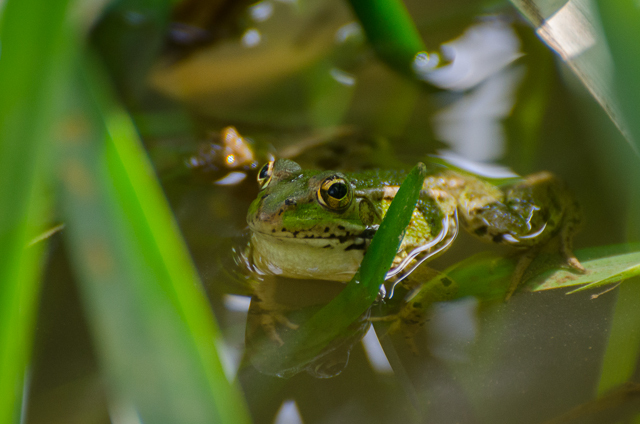 3 or 4 more frogs lept into the water as I approached but 2 remained motionless amongst the reeds.